Online wallet and e-commerce company Paytm has acqui-hired EduKart after the education technology startup failed to raise new funds. Last year, EduKart had raised $1 million from United Finsec, cricketer Yuvraj Singh's YouWeCan Ventures and early-stage fund 500 Startups. 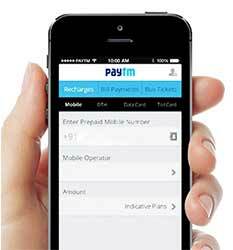 Paytm chief executive Vijay Shekhar Sharma is also an investor in the startup. EduKart founder Ishan Gupta's LinkedIn profile shows that he has joined Paytm as vice president of business, and is building third-party service providers' ecosystem aimed to support the approximately 130,000 merchants listed on the Paytm marketplace. Gupta is leading the merchant lifecycle management team at Paytm and is responsible for revenue growth of long-tail merchants, according to his LinkedIn profile. Nearly 50 employees of EduKart will handle various responsibilities around seller services, the Mint reported. Paytm did not respond to email queries sent by VCCircle on this development. Founded in 2011 by Ishan Gupta and Mayank Gupta (not related), EduKart is run by Delhi-based Earth Education Valley Pvt. Ltd. Ishan had earlier worked with companies such as One97 Mobility Fund, Facebook, Helion Venture Partners, Quantum Hi-Tech and Appin Knowledge Solutions. Mayank quit the firm in December 2014 and now works with an online electronics marketplace Zopper. EduKart was an education marketplace that offered courses to students. It aggregated K12, degree, diploma and certificate courses, besides coaching for entrance examination. The company aggregated courses offered by other ed-tech startups such as Byju's, Simplilearn, Liqvid and Testfunda, besides offering courses from Aakash Institute, Bharati Vidyapeeth Deemed University, Annamalai University, National Institute of Management and Technology, among others. In 2013, EduKart secured $500,000 in seed funding from a consortium of early-stage institutional and angel investors, including French early-stage fund Kima Ventures, Amit Patni and Arihant Patni, AKM Systems, Vibhor Mehra (ex-partner at SAIF Partners), Stanford University alumni, Paytm CEO Vijay Shekhar Sharma and Manish Kheterpal (ex-director of Providence Equity Partners). In June last year, when it raised $1 million from YouWeCan Ventures and others, EduKart's founder Ishan had said the company was looking to drive gross enrollment sales of over $100 million for its course providers by enrolling more than 100,000 students annually in the next three years. Before starting up, Ishan had worked at Paytm between October 2009 and March 2011. At the time, he headed direct to consumer business at One97 Communications Ltd.
Ed-tech startups have attracted significant interest from investors. Bjyu's recently raised $50 million in a round co-led by Facebook founder Mark Zuckerberg's foundation, barely six months after it raised $75 million from Sequoia India and Belgian investment firm Sofina. Last month, Unacademy raised $1 million from a clutch of investors including Flipkart co-founders Sachin Bansal and Binny Bansal and Paytm founder Vijay Shekhar Sharma.